Céad míle fáilte—a hundred-thousand welcomes! Check into your hotel. At 3 pm, meet your Tour Director and traveling companions for an afternoon orientation drive through statue-lined O’Connell Street, elegant Georgian squares with their tall, red-brick townhouses, colorful doors, and wrought iron-decorated windows, Oscar Wilde’s Trinity College and St. Patrick’s Cathedral. Tonight, enjoy a welcome dinner at your hotel. Drive through lush green country side to Athlone, on the River Shannon, and then to RATHBAUN FARM, where you’ll see the farmer maneuver a flock of sheep with the help of a sheep dog. Try your hand at SCONE BAKING and then enjoy them fresh from the oven with a cup of coffee. 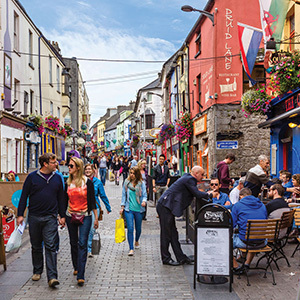 On to Galway, a popular seaside destination and a buzzing cosmopolitan center with colorful shops and a busy café and bar culture. On your way north, pause at Westport, the elegant holiday resort on the edge of an Atlantic inlet, before continuing to Donegal, named ‘Fort of the Foreigners’ by the Vikings who invaded the town in the 8th century. Continue on through rich and fertile farmland, strewn with whitewashed houses, to Letterkenny. The first highlight today is Derry, situated on the banks of the Foyle River, and a WALK on the Old Town walls in the company of a Local Guide. After lunch, visit the awe-inspiring GIANT’S CAUSEWAY, composed of thousands of strangely symmetrical basalt columns jutting out to sea. Stay overnight in Belfast, Northern Ireland’s seat of government. This morning’s orientation drive will take you past all the city’s attractions, including City Hall, the Albert Memorial Clock Tower, and Queens University. 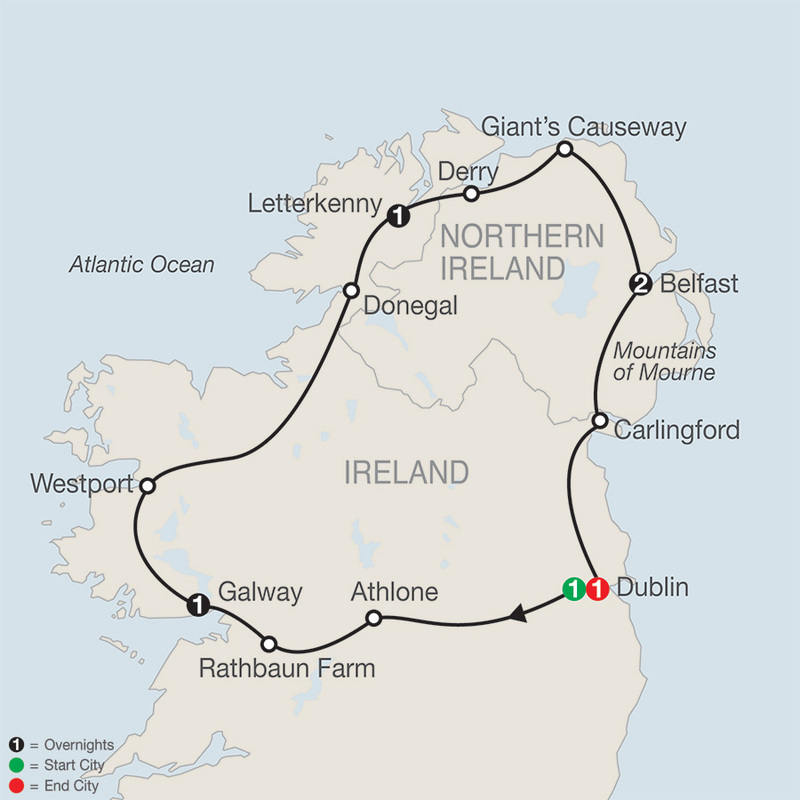 Next, visit the fascinating TITANIC EXPERIENCE and learn all about the building of the largest passenger steam ship, its maiden voyage, and the tragic night of April 14, 1912. Later, consider an optional visit to Hillsborough Castle, official residence of the Queen and the Royal Family when they are in Northern Ireland, before taking afternoon tea in a nearby eatery. On your way back south, stop in Carlingford, on the Cooley Peninsula, known for its oyster farms and medieval buildings. The 12th-century King John’s Castle overlooks the harbor and Taaffe’s Castle—a 16th-century tower house. 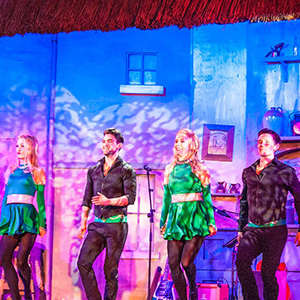 Back in Dublin, a fitting farewell to Ireland would be to join an optional cabaret evening with dinner, followed by dance, song, and laughter. An opportunity to experience Galway in a different light with a guided walking tour through Eyre Square, past Lynch's Castle and the Spanish Arch, finishing with an Irish coffee at a local pub.